The New York Times’ multimedia presentation viewer is a thing of beauty. 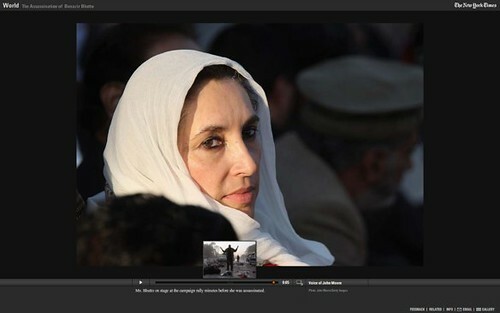 The example below is taken from a story on Benazir Bhutto. Flash wins again. Notice how hovering over the thumb yields a time-indexed image popup. Very fluid, very useful.